“A high-end cell phone shouldn’t have to have low-end customer service,” says Mindy Bockstein, chairwoman and executive director of the¬†New York’s¬†Consumer Protection Board. 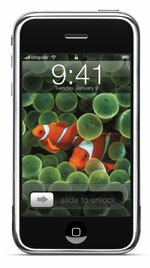 The Board announced complaints against Apple, echoing an iPhone¬†lawsuit filed recently by an Illinois man. The iPhone’s battery must be replaced by Apple when the battery no longer holds a charge. Apple charges $79 plus $6.95 shipping for out-of warranty battery replacement. “I encourage Apple to redesign the iPhone in order to provide for a replaceable battery,” said Bockstein in the Board’s letter to Steve Jobs. She also said Apple should extend its 14-day return policy to 30 days¬†and shouldn’t charge a 10-percent restocking fee on returned phones. Yes, if you wouldn’t mind, would you also include a golden egg with each iPhone as well… And would you mind lowering the price of the 8Gb model to $99.